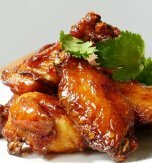 Roast chicken wings and drumsticks in a piquant sauce and enjoy a delicious family-friendly meal. The appetizing smell will spread all over your apartment and drive all your family members crazy. The sweetness of honey and the saltiness of soy sauce perfectly complement one another. The tomato sauce makes the meat juicy while garlic adds a savoury note. 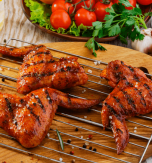 The whole marinade imparts the chicken a wonferful rusty, caramel color. 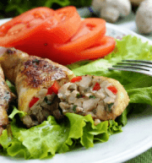 Wash chicken wings and drumsticks. Dry them thoroughly and place in a deep bowl. Whisk together honey, soy sauce, tomato sauce, black ground pepper, red ground pepper, and salt. Pour the prepared marinade above the chicken. Place the meat in a fridge for at least 3 hours. Preheat an oven to 200°C (392°F). 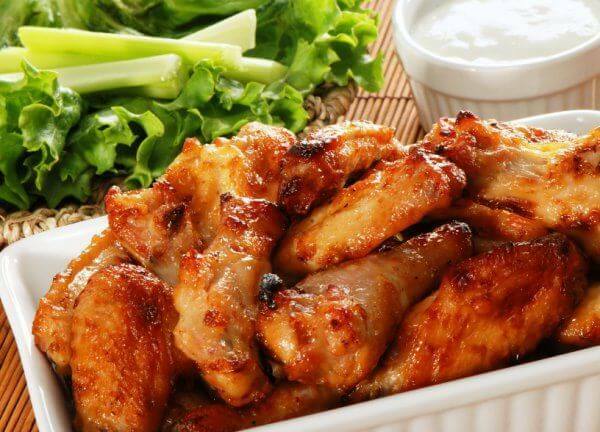 Grease a baking tray with vegetable oil and arrange the chicken wings and drumsticks above. Bake the meat for 30-40 minutes. Serve immediately. 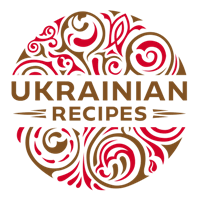 Do you have a favorite recipe of Ukrainian roasted chicken? If so, please let us know in the comments below or write us an e-mail.